Yesterday, October 1st, 2013, made it exactly 53 years since the Union Jack was lowered and Nigeria’s Green-White-Green flag was hoisted signaling her independence. Indeed, so much has happened in Nigeria’s 53 years of independence; we have been through hell and back; suffered the indignation of a mindless, avoidable civil war, bloody coup d’etats, ethno-religious and internecine wars and brutal dictatorships that have combined to push the nation to the brink of disintegration. Similarly, in the epoch under review, there have been spells of unanimous euphoria, genuine backslapping and general appreciation of individual achievements and successes. So, it’s an ample time to again take stock and measure our progress as a nation as against the frenzied expectations and lofty promises of October 1st, 1960 and recent democratic experiences. It is indeed time to critically examine the journey so far from the prism of individuals, events and issues that have contributed to or stymied the growth of this nation. Goodluck Jonathan – As I write this, the wall clock in my SoHo (Small office, Home office) chimed 3pm. It is Sunday, September 29th. In four hours, President Goodluck Jonathan would hold another edition of the Presidential media chat. As much as I look forward to it, the predictability and monotony of the chat are a dampener. Not even the opportunity given to twitter users to ask the President questions excites me. You know why? The questions would most likely be censored and cheaply so too. Alas, also, the answers to the questions would be delivered jejunely and listlessly. President Jonathan is not a compelling speaker; his eloquence is at best bland and at worst razor-blunt. Neither did he come to office with the political dexterity a leader needs at times like these. More than any Nigerian president in recent memory, the Otuoke, Bayelsa State indigene, waltzed into power under a whirlwind of goodwill and groundswell of expectations. While the goodwill has long dissipated, the expectations have devolved into deep-seated disappointments; what buffet the mere mention of the president’s name are collective disillusionment, despair and distrust. Yet, the story of his political ascent on one hand, and rise to Presidency on the other hand remains the stuff fantasies are made of. But like the Yoruba cliché goes, the world would not forget a King whose territory imploded and remained impoverished under his reign and that whose territory was peaceful and prosperous. Either way, Nigerians would not forget President Jonathan. Olusegun Obasanjo – This is one Nigerian many love to hate. Whatever you think of former President Olusegun Obasanjo however, you can’t take away God’s special grace on him or his frontline role in the evolution of our nationhood. Nigeria’s Head of State between 1976 and 1979, Obasanjo retired to his Ota, Ogun State farm where in the intervening years, he evolved into a statesman. In 1995, he was arrested and imprisoned on trumped up charges of planning a coup by the Sani Abacha regime. But he outlived Abacha and became Nigeria’s substantive President in 1999. He ruled for eight years. In spite of the relative successes of his administration, many still feel that Obasanjo’s greatest injustice to Nigeria was foisting a terminally ill Umaru Yar’Adua on the nation. Umaru Musa Yar’Adua – Foisted on Nigeria by the outgoing President Olusegun Obasanjo in a flawed 2007 presidential elections, Umaru Yar’Adua, however, tried to turn the tide in his favour by implementing policies that appealed to the generality of Nigerians but his ill-health was an impediment from the outset. A two-term Governor of Katsina State, Yar’adua’s sickness, admission in a Saudi Arabian hospital, the secrecy with which it was shrouded and the interregnum in the presidency eroded whatever sympathy Nigerians had for him. Sad as it was, his eventual death in May 2010 cooled the heated polity. MKO Abiola – Like the rose that grew out of concrete, Chief Moshood Kashimawo Olawale Abiola was born into abject poverty in his native Abeokuta, Ogun State. The first survivor of his parents’ initial 23 children, Abiola’s academic brilliance helped him attain immense prosperity and global reverence. Abiola was a éminence grise wherever on the planet he found himself because of his philanthropic activities and business interests straddling all sectors of the economy. But that is not why he merits a place on this list. Abiola’s sojourn in politics is one of the catalysts for Nigeria’s democracy. As the presumptive winner of Nigeria’s fairest and freest presidential elections on June 12, 1993, the subsequent annulment of the election, his arrest in 1994 by the Sani Abacha junta and death in July 1998 have become a watershed in Nigeria’s history. In Nigeria’s southwest states, every June 12 is celebrated with a public holiday. Ibrahim Badamosi Babangida – Back in 1985, Ibrahim Babangida was a young, starry-eyed officer whose blinding ambition led him to stage a coup that ousted the then Head of State, Muhammadu Buhari. His administration flailed and faltered, stockpiling different degrees of crimes against the nation and people’s psyche. Perhaps the singular most obnoxious offence of Babangida as Nigeria’s military president was the annulment of the June 12, 1993 election. For an election that was widely hailed as Nigeria’s freest and fairest, the annulment cemented IBB’s place in the global nay Nigeria’s hall of infamy. Sani Abacha – Effortlessly vicious General Sani Abacha redefined the meaning of despotism during his five-year reign as Nigeria’s Head of State. State-sponsored assassination reigned supreme; the deaths of Pa Alfred Rewane, Suliat Adedeji, Kudirat Abiola and Harry Marshal among others too numerous to mention, are still unresolved. Those who were not killed escaped into exile. The media wasn’t spared the Abacha onslaught as the like of TELL, Guardian, TheNews and Punch among others suffered different degrees of harassment and abduction of their staff (ask Nosa Igiebor and Onome Osifo-Whiskey of TELL, Kunle Ajibade of TheNews and Chris Anyanwu of the defunct The Sunday Magazine; they are still alive to tell the story). The Abacha years were indeed the years of the locust. He died in office in June 1998. Muhammadu Buhari – The place of Major General Muhammadu Buhari (rtd) in Nigeria’s chequered history is indubitable. Following the truncation of Nigeria’s second republic headed then by Shehu Shagari in December 1983, Buhari was appointed Head of State and Commander-in-Chief of the Armed Forces. Known for his Spartan lifestyle and sprightly gait, Buhari became even more renowned for his draconian rule. Since democracy returned to Nigeria, Buhari has unsuccessfully run for presidency on three occasions. Even now that his party, the Congress for Progressive Change, CPC, has merged with other parties to form the All Progressives Congress, his ambition to rule Nigeria has not wavered. Yakubu Gowon – General Yakubu Dan-Yumma Gowon was 31 when he became Nigeria’s Head of State in 1966. He has the unenviable record of presiding over Nigeria when the civil war broke out in 1967; a war that saw millions of civilians dying from hunger and thousands of soldiers perishing at the war front. Over the years, Gowon, now 78, has evolved into a statesman, a Christian and a humanitarian. Kaduna Nzeogwu – Nigeria’s independence was barely six years old when Major Chukwuma Kaduna Nzeogwu led some young military officers to organise Nigeria’s first coup on January 15, 1966. About a year later, Nzeogwu, who had just turned 40, was killed in the civil war as a Biafran soldier. Johnson Aguiyi Ironsi – Nigeria’s first military Head of State, Johnson Aguiyi Ironsi, was the ultimate beneficiary of the Nzeogwu coup. But only for a short while. He was Head of State between January 15, 1966 and July 29, 1966. In a counter coup initiated by Northern military officers, Ironsi was killed in Government House, Ibadan, alongside his host, the Military Governor of Western Nigeria, Adekunle Fajuyi. Ironsi was 42 at the time of his death. Sir Ahmadu Bello – Between 1954 and 1966, Sir Ahmadu Bello reigned as the first Premier of the Northern Nigeria region. Until his death on January 15, 1966 in the hands of the Nzeogwu-led bloodthirsty coup plotters, Sir Ahmadu Bello was the Sarduana of Sokoto and leader of the Northern Peoples’ Congress. Though a regional leader, Sir Ahmadu Bello was a prominent figure in the run up to Nigeria’s independence and throughout the First Republic. Civil War – When agitations for recognition by the Igbos reached boiling point, they decided to secede, rechristening their region the Republic of Biafra. The Nigerian government would have none of it thus occasioning the civil war, which broke out on July 6th, 1967. The war ended on January 15, 1970. It was estimated that almost two million civilian casualties were recorded owing largely to starvation as the federal government cut off food aid. Crude Oil – The discovery of oil in 1958 has defined Nigeria’s trajectory. The easy, copious wealth that oil offered was too much of an attraction for Nigerians; farmers soon abandoned their farmlands in an unfortunate dash for oil wealth. Those who didn’t had their farmlands despoiled by the rampaging exploration of crude oil. And it was only a matter of time before Nigeria slipped from being a producer nation to becoming an aggressive consumer, spending billions in importation of agro-produce that we once grew while running an economy dependent only on oil. 15. Abubakar Tafawa Balewa – The son of a nomadic slave, Abubakar Tafawa Balewa overcame the deprivations and limitations of his heritage to become Nigeria’s first and only Prime Minister. A trained teacher, and one of the few educated persons in his time, he later became a legislator and minister in the 50s. 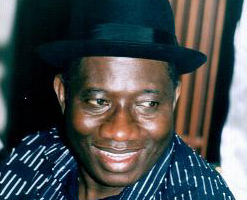 When Nigeria became an independent nation, he assumed the position of Prime Minister. Revered across the continent and beyond for his robust oratory, Balewa was on January 15, 1966, kidnapped and killed by the Kaduna Nzeogwu-led coup plotters. His image remains on Nigeria’s N5 note. 16. Obafemi Awolowo – Born in 1909, Obafemi Awolowo was a lawyer, journalist and redoubtable nationalist. He founded Tribune newspaper in 1949, which remains Nigeria’s oldest surviving newspaper till date. He was Premier of the Western Region pre-independence and Federal Commissioner of Finance during the Gowon regime. Apart from the Tribune, one of Awolowo’s lasting legacies is the Obafemi Awolowo University, which at a time was regarded as the most beautiful campus in Africa. 17. Nnamdi Azikwe – Zik of Africa, as he was also known, was a journalist turned politician who became a revered nationalist and Governor-General of Nigeria in 1960. When Nigeria became a republic in 1963, Zik became the first President and was in office until the military incursion of 1966. He died in May 1996 aged 91. 18 Wole Soyinka – Africa’s first Nobel Laureate; Nigeria’s literary pride; consummate actor and activist, the story of Nigeria is incomplete without ample space being accorded Professor Wole Soyinka. A major participant in the evolution of Nigeria’s nationhood, he was imprisoned at the outbreak of the civil war for meeting with Biafra leader, Ojukwu. Out of the 27months that he spent in prison without trial, 22 were in solitary confinement. Blessed with a commanding intellect and a robust understanding of the English Language that has made many accuse him of grandiloquence, Professor Wole Soyinka, 79, was an intractable opponent of the oppressive military regimes that ruled Nigeria while he has also been unsparing of ineffectual democratic leaders. 19 Chinua Achebe – Writer extraordinaire, Professor Chinua Achebe’s Things Fall Apart holds the record for the most translated book that was ever written by an African. Released in 1958, Things Fall Apart has sold over eight million copies and has been translated into over 50 languages. His rich corpus includes other best selling books like No Longer At Ease, Arrow of God, A Man of The People and The Trouble With Nigeria among others. Achebe died at the age of 82 in March 2013. 20 Aliko Dangote – The biggest petroleum refinery is about to be built in Africa by none other person than the intrepid business magnate regarded as Africa’s first $20billion man and President of the octopoidal Dangote Group, Aliko Dangote. The venture into oil refinery is for many businessmen a no-go area but Dangote, 56, is not your run-of-the-mill businessman. This might seem like the ultimate quest, the magnum opus in a glittering entrepreneurship career, but with Dangote, you never can tell what would be next in his infinite pouch of cutting-edge ideas. Over the years, he has made the business environment his oyster, investing in businesses many would not touch with a long pole. Blessed with a rare humility and an infectious optimism that zero could still come up on a roulette wheel with only one spin left, Alhaji Dangote’s jaw-dropping contribution to the Nigerian nay African economy is legendary. 21 Mike Adenuga – Until 2003 when he launched Globacom with a patriotic fervency and boundary-shoving resolve to redefine the mobile telephony business, not many people knew Otunba Mike Adenuga. Though he was already a big businessman with his hand in several lucrative sectors of the economy, it was Globacom that actually turned him into a national hero. At that time, the pioneer GSM operators, MTN and Econet Wireless (now Airtel) said per second billing was not a workable model in Nigeria. But Adenuga, also known as The Bull, demystified this myth. Globacom introduced per second billing to the chagrin of competitors and delight of subscribers. Thus began the revolution in Nigeria’s GSM experience. Those who said it was not possible were forced to fall in line. Nigerians became the better for it. Imbued with a terrier streak, breathtaking grace and guts, and a sharp vision that helps him navigate the intricate world of business, it is no surprise that Adenuga, 60, is one of the biggest employers of labour in Nigeria and beyond and perhaps the most generous with his investments in entertainment and sports. 22 Gani Fawehinmi – If there was an individual who fearlessly and relentlessly spoke against the atrocities of the military’s oppressive rule, it was none other than the fiery legal luminary, Chief Ganiyu Fawehinmi. Gani became the avatar of human rights activism in Africa, which made him an enemy of successive governments who continually subjected him to constant persecution and even attempted assassinations etc. Gani died in 2009 at the age of 71. 23 Isaac Adaka Boro – Boro was just 30 at the time of his death. But the achievements and activities he packed into those 30 years would make a 70-year-old cow in admiration and intimidation. A students union leader turned agitator for a more equitable distribution of oil wealth to Niger Deltans, Isaac Adaka Boro went on to proclaim a Niger Delta Republic in 1966. He was just 28 at the time. Later commissioned a major in the Nigerian Army, Boro was killed during the civil war in mysterious circumstances. 24 Ken Saro Wiwa – Born in 1941, Kenule Beeson Saro Wiwa was an award winning writer, television producer and environmental activist whose fight against environmental damages caused by oil exploration and illegal dumping of toxic waste on his native land pitched him against the government. He had previously served as commissioner in Rivers state but was dismissed because of his unyielding stance. As President of the Movement for the Survival of the Ogoni People (MOSOP), he led a peaceful protest against the exploiting multinationals in the region after which he was arrested, hastily tried and subsequently executed alongside eight others by the Sani Abacha regime. 25 Pastor E.A Adeboye – It is interesting and noteworthy to mention that Pastor Enoch Adejare Adeboye did not establish the Redeemed Christian Church of God as might be erroneously assumed by many. But he has grown the church so big that this part of its history might have been obliterated. Among his regular flocks are Nigeria’s movers and shakers, sitting governors and occasional visits by Presidents. Described by Newsweek Magazine as one of 50 Most Influential People in the world, the mathematician turned pastor is 71. 26 Bishop David Oyedepo – None in the comity of prosperity-preaching pastors, walks the talk like Bishop David Oyedepo of the Living Faith Church Worldwide otherwise known as Winners’ Chapel. He is reported to have two private jets at his beck and call among other luxuries. The headquarters of his church in Ota, Ogun State, is a 50, 000-seater architectural wonder, which was once described as the World’s Largest Church Auditorium. The church also has branches all over Nigeria, 32 African countries, Europe and Dubai among others. He also has three universities in Nigeria; Covenant University, Ota; Landmark University, in his native Omu Aran, Kwara State and Crown University in Calabar, Cross River State. 27 Taiwo Akinkunmi – Pa Akinkunmi is reported to be living in penury in Ibadan, Oyo State, but his place in Nigeria’s history is rich and conspicuous. He designed the Nigerian green-white-green flag. 28 Ben Odiase – Pa Benedict Odiase is a former deputy Commissioner for Police who composed the Nigerian national anthem while serving as the Director of Music in the Nigerian Police band. However, it is pathetic that aside being decorated with a National honor of MON, this patriotic Nigerian was totally neglected by the successive governments in his old days even during his battle with an unknown illness. Pa Odiase died on June 12, 2013 aged 79. 29 Bola Ahmed Tinubu – Everywhere he finds himself, Aiswaju Bola Ahmed Tinubu commands the space around him, not in an imposing way, but in a way that underscores that a formidable leader is around. The former Governor of Lagos State is perhaps the most powerful opposition politician in Nigeria today with six states – including Lagos – in his kitty. Now the leader of the newly formed All Progressives’ Congress, Tinubu maintains that his greatest legacy is not in the successes he has achieved as a politician but lies in the successor he left behind in Lagos. This does not beggar any belief. 30 King Sunny Ade – Almost five decades after his episodic musical adventure teed off, King Sunny Ade remains the avatar for Juju music. A Grammy awards-nominee and master guitarist, KSA rose from a mere band boy into one of Africa’s most respected musicians, and his staying power over the years has remained the high watermark by which other iconic singers are being measured. 31 Fela Anikulapo Kuti: Iconoclastic creator of Afrobeat music, Fela combined the far-reaching power of music and a profound activism streak to wage relentless war against the military’s oppressive rule, corruption, neocolonization and other societal ills. Fela was a multi-talented multi-instrumentalist and composer who is still celebrated as the greatest Nigerian musician. Also known as ‘Abamieda’ or the ‘weird one’, the life and times of Fela was the theme of the eponymous Broadway show, Fela!, sponsored by American superstars, Jay-Z and Will Smith. 32 Agbani Darego – Christened Ibiagbanidokibubo Asenite Darego at birth, Darego put the nation’s name on global map when she won the coveted Miss World beauty pageant in 2001 as not just the first Nigerian but the first and even up till date, the only African to have won the most prestigious beauty pageant in the world. 33 Leo Stan Ekeh: Nnamdi Stanley Ekeh’s Zinox Technologies manufactured Nigeria’s first internationally certified computers, which came with a Naira sign on the keyboard. Ekeh, an indigene of Imo schooled in India’s Punjab University, Cork City University, Ireland, and later, Nottingham University, UK, where he obtained a degree in risk management. His vision is to ‘Computerize’ Nigeria, which to a large extent he is achieving. 34 Kanu Nwankwo – Kanu is one of those special breeds that do not need a second name to be recognized. Papilo, as this gangling ex international is popularly known, is the most decorated footballer in Nigerian history. Blessed with sublime skills that defy his wiry, beanpole frame, Kanu’s trophy shelf boasts a UEFA Champions league trophy, an Olympic gold medal, two English Premiere league titles and three FA Cups. He is also a two-time African footballer of the year. His non-profit organization, the Kanu Heart Foundation, which was inspired by his personal experience with a heart condition, has been treating kids with heart ailments since its establishment. 35 Chioma Ajunwa: Chioma brought herself and Nigeria glory at the 1996 Atlanta Olympics where she won Nigeria’s first ever gold medal in the history of the Olympics. Chioma is a serving police officer. 36 GSM – The introduction, in 2001, of the Global System for Mobile Communications ushered in a new dawn in Nigeria. Without any iota of doubt, the GSM has altered the way we live, communicate and do business. 37 Social Media – Like the GSM, the advent of social media has altered our existence. Like everywhere else, discerning young Nigerians have adopted the various channels of social media to support or flay government’s actions and inactions. Though it has also spurned a reckless band of pseudo-journalists, the emergence of social media activists who only need a Facebook or Twitter account has become one of the major highlights of this decade. 38 Nollywood – Nigeria’s movie industry otherwise known as Nollywood has been acclaimed as the third largest movie producing industry in the world after America’s Hollywood and India’s Bollywood. This feat was achieved without any significant government contribution. Now, it’s Nigeria’s greatest export after oil, while the industry provides thousands of jobs for otherwise jobless Nigerians. Noteworthy is that this year, Omotola Jalade-Ekehinde, a wholly homegrown actress was included in the influential TIME Magazine annual list of the 100 most influential people in the world comprising artistes and athletes, leaders and titans and icons. 39 The music industry – Just like Nollywood, Nigeria’s contemporary music industry has become a global phenomenon especially in the last decade. While King Sunny Ade, Lagbaja and Femi Kuti, a multiple Grammy nominee who took over Afrobeat where his father left it, are still relevant on the global stage, it is the like of Tuface Idibia, D’banj, Wizkid, Timaya and P-Square among others that are hugely sought after from one end of the earth to the other. With their artistry, achievements and accoutrements of fame, these artistes are a huge inspiration to millions of Nigerian nay African youths. 40 Boko Haram – The insurgence of Boko Haram in the late 2000s rewrote Nigeria’s deadly romance and affinity with mindless, ethnocentric killing and palpable insecurity. Several government interventions, including the imposition of a State of Emergency in flashpoint states, have not reduced the devastating activities of this despicable group. As Nigeria prepared for the 53rd Independence anniversary, Boko Haram struck again, killing tens of sleeping students in their hostels in a college in Yobe State. 41 Militancy in the Niger Delta – The agitation for more revenue for the Niger Delta, Nigeria’s cash cow, slowly snowballed into angry youths taking up arms. By the early 2000s, militancy in the Niger Delta had assumed a frightening proportion, resulting in the kidnap of expatriates, pipeline vandalisation and massive oil theft. However, the amnesty programme introduced by the Yar’Adua administration has stemmed this perilous slide while former militants have been rehabilitated and reintegrated into the society. 42 PDP – The People’s Democratic Party was formed in 1998 as Nigeria prepared to return to democracy. Since 1999, the PDP has remained Nigeria’s ruling party while growing in might and spread. 43 National Assembly – Perhaps because of the importance of their duties, the national assembly, comprising the House of Representatives and Senate, never ceases to generate its own savoury and unsavoury news. If different camps are not throwing chairs and punches, they would be up in arms against the executive and in piteous cases; it is debating bills that are inimical to Nigeria’s existence (the child bride saga; third term debate readily come to mind). What has however undermined whatever achievements the national assembly might want to point to however is the outrageous allowances members are entitled to making them the highest paid lawmakers in the world. 44 Lamido Sanusi – Malam Sanusi Lamido Sanusi is an unusual Fulani man, a Banker per excellence, Islamic scholar and extraordinary risk manager. 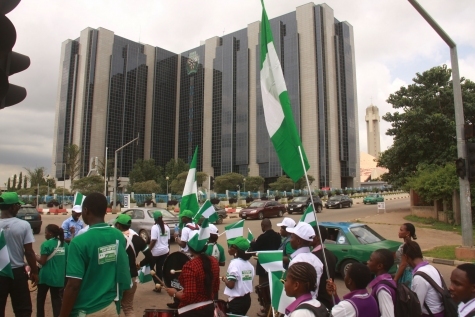 It took his appointment as Governor of the Central Bank of Nigeria in 2009 for Nigerians to know how bad and rotten the Nigerian banking system had become. His banking reforms, though flayed in some quarters, have resuscitated several banks that were on the brink of collapse while exposing thieving bank chief executives. 45 Chimamanda Ngozi Adichie – Reading Chimamanda’s books evokes a visceral reaction, a compelling connection with her storyline and an awareness of what was and what might have been. The international awards–winning author of Purple Hibiscus and Americanah had her magnum opus, Half of A Yellow Sun, turned into a major motion picture starring Hollywood giants like Chiwetel Ejiofor and Charlize Theron. She is in her 30s. 46 FCT Abuja: The Federal Capital Territory, Abuja, is the seat of power and the one place, more than anywhere else, that Nigeria’s oil wealth has been judiciously invested and pillaged. Its strategic and political position has made it one of the most important cities of the world. Formed in 1976 after certain areas were cut from the old Nasarrawa, Niger and Kogi States, Abuja became the political capital in 1991. Unlike other States in the nation where governors are elected, an appointed Minister governs Abuja. 47 ASUU Strike – It is perplexing, yes, but the reality is that incessant strike actions by the Academic Staff Union of Universities, ASUU, have become an integral part of Nigeria’s education system. ASUU was formed in 1978 and over the years, has not found an alternative way of agitating for its demands except via strike. As you read, Nigerian students have been home for the past three months! 48 General Abdulsalami Abubakar (rtd) – General Abubakar became Nigeria’s Head of State immediately after the death of Sani Abacha. Commended for peacefully handing over power to a civilian administration in 1999, Abubakar, who is married a Supreme Court Justice, Fati, however, has an albatross on his neck; what really killed MKO Abiola? 49 Corruption – Corruption is synonymous with Nigeria. In fact, in cynical cases, it can be a synonym for Nigeria. At a point, Transparency International, rated Nigeria the most corrupt country in the world. Not even the establishment of the Economic and Financial Crimes Commission and the Independent Corrupt Practices Commission have been able to nip the hydra-headed issue of corruption in the bud. 50 Dream Team 1 – The name, Dream team 1, was coined for the Nigerian Under–23 Football Team that won gold medal at the 1996 Atlanta Olympics. Kanu Nwankwo captained the team. 51 The Senior National Football Team – Football is the opium of the people and every time the national football teams do well, an overwhelming sense of celebration and joy hovers over the country. Before the senior national football team began to adopt the ‘Super Eagles’ nomenclature, it was known as the Green Eagles. In 1980, the then Green Eagles won the nations cup for the first time. Fast forward to 1994; the rechristened Super Eagles won that year’s nations cup in Tunisia. The captain of the team was Stephen Keshi who, 19 years later, would lead, as coach, a ragtag Super Eagles team to victory at the 2013 nations cup in South Africa. 52 NEPA – Until its change of name to the Power Holding Company of Nigeria and eventual unbundling recently, the epileptic services provided by NEPA over the decades and the intractability of the power issue earmarked for it a place in Nigeria’s hall of infamy. 53 Babatunde Raji Fashola – Depending on what side of the divide you are, Babatunde Raji Fashola, SAN, is arguably Nigeria’s most beloved governor of this era. The two–time Governor of Lagos State has been hailed far and wide for his administrative aplomb, far–reaching projects and humane programmes in infrastructural development, education, health, transportation and other sectors which have become the benchmark by which other state governors are being, and will continue to be, rated for decades to come. To This Day We Ask… Who Is An Educated Man?